Make life simpler by taking advantage of our e-banking solution, a safe and secure way to manage your financial administration, online. With Vidanova e-banking, you can pay all your bills electronically, transfer funds, view your transaction history and have access to many more advantages. Experience the comfort of e-banking. Take care of your banking needs from anywhere, at any time! 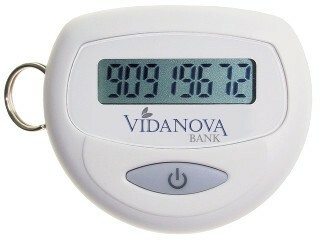 What does Vidanova e-banking offer you? Your transactions are highly secured and confidential.You can leave your worries behind. All your transactions through Vidanova e-banking are protected by the most advanced technology, which includes "firewalls" and encryption. A "Personal Identification Number" as well as a secure ID card offer your account unique personal protection.